Enrique Villanueva was born in Lima, Peru. He had his first UFO sighting at the age of seven. In 1988 he joins The Rahma Mission, a group of contact founded by the internationally well known Peruvian contactee Sixto Paz Wells. There he was initiated into the protocol for contact with extraterrestrials. After serious effort and dedication he had the opportunity to interact with this alien intelligence through means of programmed sightings, telepathic communications and physical encounters; experiences that triggered in him a big hunger for knowledge. As the experience of Rahma unfolds, the contactees formed in its protocol, have the tendency to witness more specialized content or information, and in Enrique’s case, he was flooded with experiences related to what this beings called “The 4th Dimension of Consciousness”, missing time, time travel, communications through time and, as years pass by, even the creation of a whole philosophy about how to transcend our time line though the use of consciousness. 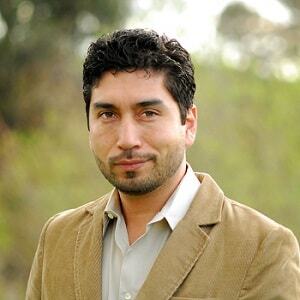 Enrique lives in southern California where he has a private practice as a Hypnotherapist, NLP Master and a Practitioner of Meridian Therapies. He shares his knowledge with the main Hispanic television and radio networks of Southern California (Telemundo, Azteca America, Univision, etc), concentrating his efforts in bringing new information and through this, improving the quality of life of his community.